Money raised during Stockfest18 will be used towards future Stockfests and to benefit the Village Hall and the Church. We will also be supporting Newbury and District Cancer Care Trust and Newbury Dog’s Trust. 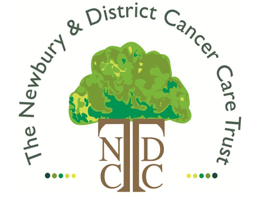 Newbury and District Cancer Care Trust is a small and independent charity, founded in 1984 to help local people who have been diagnosed with cancer and other life-threatening illnesses. They offer practical help and information to patients and their families living in West Berkshire, and are the parent charity for the Rainbow Rooms and the Charles Clore Day Hospice at the West Berkshire Community Hospital. They work closely with Clinical Nurse Specialists, medical professionals and the Day Hospice to help improve the support offered from the point of diagnosis, for as long as we are needed. For more information please visit their website by clicking HERE. The Dog’s Trust was established in 1891. Their mission is to bring about the day when all dogs can enjoy a happy life, free from the threat of unnecessary destruction.Today Dogs Trust (formerly the NCDL) is the UK’s largest dog welfare charity and cares for over 15,000 dogs each year through its network of 20 rehoming centres in the UK – and one in Dublin.